With the many tripods that are available, it is sometimes difficult to choose one. That’s why I have researched to discover the best tripods for fifth wheels so that I can help you in your quest. 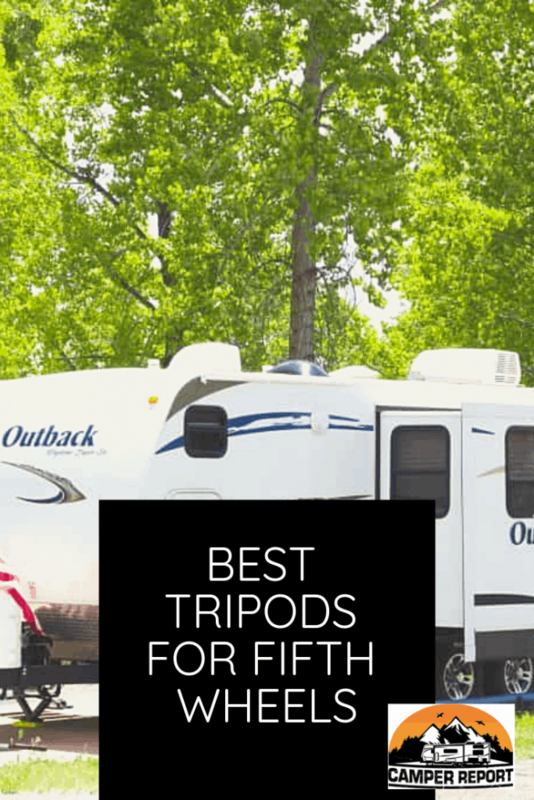 So what is the best tripod for a fifth wheel vehicle? The Ultra-Fab heavy duty king pin stabilizer, the Camco Olympian King, and the BAL R.V. products are the best tripods for fifth wheels. This is when taking into account the cost spent on the quality of the tripod and the amount of time spent on its setup. Although these are the best tripods for fifth wheels, there are other options to give you a similar result to the tripods. 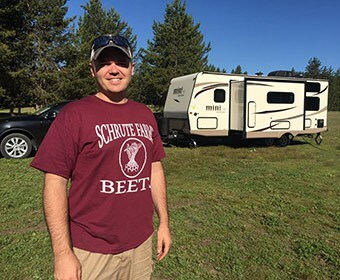 If you are interested in learning more ways to stabilize your fifth wheel or RV, read on. Tripods are important devices to stabilize your RV or fifth wheel. 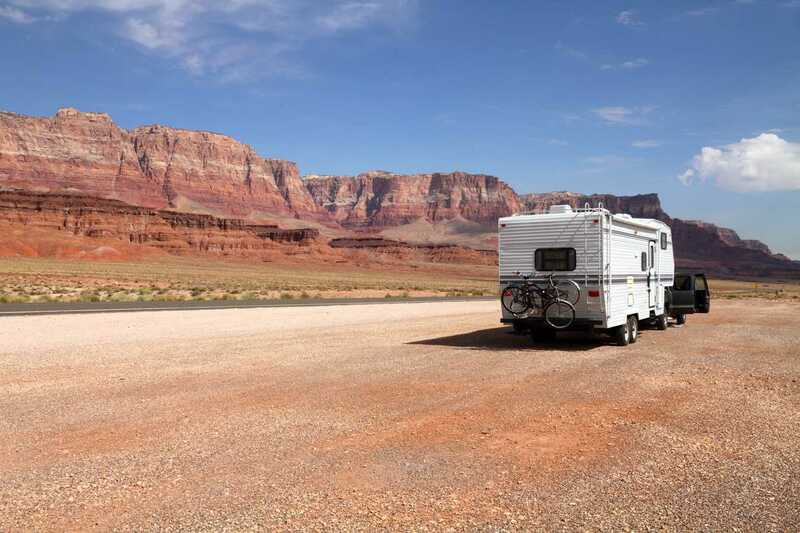 Your camper needs to be stabilized when it is rocking back and forth or from side to side. These tripods are set up on your fifth wheel and are an important device to give us the chance to feel less like we are on a boat. This is the first option for a high-quality tripod. This tripod ranges from $74-170. The Ultra-Fab tripod has an adjustable hitch cup, steel construction, and a padlock included. The foot pads are 5″ by 5.5″ to reduce any shakiness. This product is highly desired by customers and there are few negative reviews towards its quality. This tripod gets the job done. This tripod is priced at $92. It has a 5,000 lb maximum weight. Adjustments can be made the foot pads and the screw lever. This tripods set up is very manageable and it comes at a good price. The Camco Olympian King tripod is another crowd pleaser. Last but not least, this tripod prices at $142. This one is only 23 pounds. So, it is lightweight and easy to move around. Yet, it has a sturdy design. The advantages of having a lightweight tripod are great. 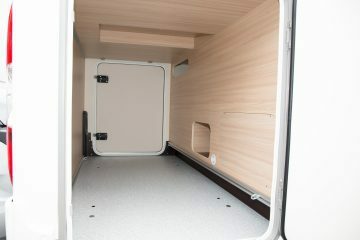 They are easier to switch between campers and come at a competitive price. “Fantastic product – well made. These three devices are the best-rated tripods. They are the best rated because they are simple to set up, without wasting too much of your time. They are also the best price that you can receive for the quality of the tripod you are receiving. You do not want your tripod to break or work ineffectively. These tripods have high chances of giving you the best use of your money. The longer an RV is, the more it shakes around. Although this is not often as dangerous as we perceive it be, it is more calming to have no shaking whatsoever. The first thing we must do is take note of what kind of shaking is occurring. There is side-to-side or front to back shaking that is caused throughout different reasons. 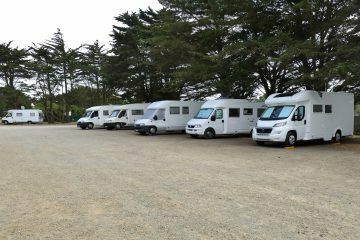 By simply becoming aware of these two kinds of rocking, it is a simple task to find which direction the camper or RV is rocking. If the movement is coming front to back, then it is likely that there is a slight movement at the trailer’s wheels. A product to consider for this movement is Super Grip chock wheel stabilizers. This will help ease down on the movement of the wheels. An easy help for both kinds of movement is stabilizer jacks. These may come along with your RV or camper. However, it important issue is that placing one only in one spot may not help the issue. It is more effective to place these stabilizer jacks into multiple points to give equal weight. The average amount of stabilizer jacks usage is four. Another tip is that it may also help to place these stabilizers onto blocks. With the blocks there, it gives more stability because there is a more firm foundation. However, do not take this to the extreme. A small black will do the job just fine. There are so many products available to help us with RV or camper shaking issues. However, just like I have done with the tripods, it is good to research before your purchase to find out if they are worth your while. The true reason why this shaking or rocking occurs is that it is set up around things that have a natural tendency to move. That is the design of your RV or Camper. There are basics behind this tendency or movement that causes shaky grounds. The ground. When the ground is not solid, the base of the equipment will start to move, which results in you feeling the shakiness. Most grounds where you are camping out will not be solid. Also, if the support system under the trailer is not solid, the movement will occur. This is why accurate block placement is important. If the device you are using to stabilize your RV or camper (tripod, scissor jack, jack stand, etc.) 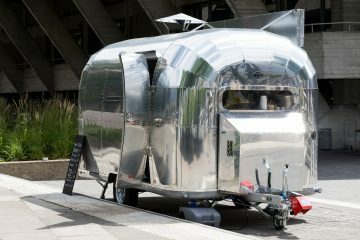 has any flexibility in any direction, your trailer will move. The design of your RV or Camper is a very long plank sitting on top of a scaffold. This means that whenever you move around, there will be shaking unless you are standing precisely above solid support. Along with this frame that is already placed with the RV or Camper, it will cause the floor to flex to different degrees as you are walking along it. 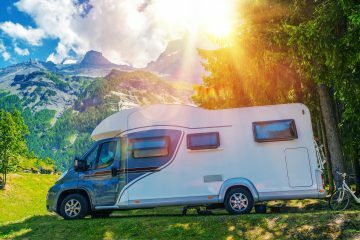 Although nobody desires the shaking and rocking back and forth that occurs with a camper or RV, it is somewhat inevitable. There are things to be done to stabilize this shaking. However, we should also come to realize that it is natural with the layout and design out the system we are in. The less we fear this, the more we will be able to enjoy the great experiences bound to happen. Inspect the roof seals and seams. 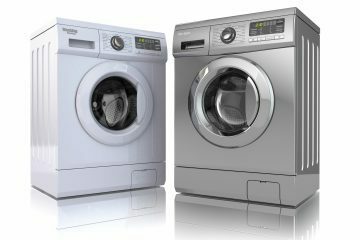 (there may be water leaks which can cause water damage. If this does happen, simply use a sealant to patch it up). Tighten your wheel’s lug nuts and check tire pressure (driving with loose lug nuts is hazardous. It may result in losing a tire along the ride). Check your batteries (batteries tend to last from 3-5 years. However, the worst thing to happen would be having a dead battery). Keep your brakes in good condition (brake replacements can be anywhere from $300-500. It is best to check on their condition before need replacement). There is more maintenance that should occur with an RV/ Camper. However, it is similar to how you would treat your car. Because this is sometimes left out without usage for long periods of time, you may forget about certain issues. Especially before taking a long trip with your RV or Camper, check everything in the system to make sure it is functioning correctly. 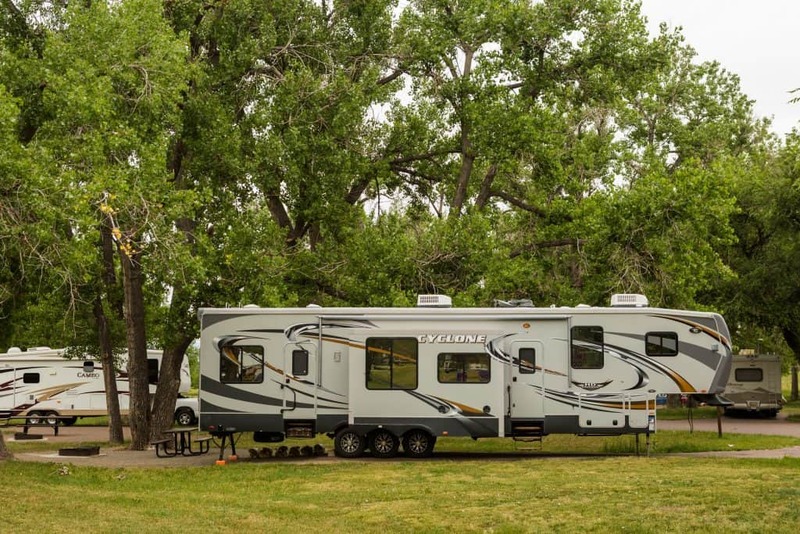 What is the best way to stabilize the fifth wheel? The are many options available to stabilize your fifth wheel, however, the top-ranked ones are power tongue jacks, stabilizer jacks, wheel stabilizers, leveling sets, and telescopic stabilizers. 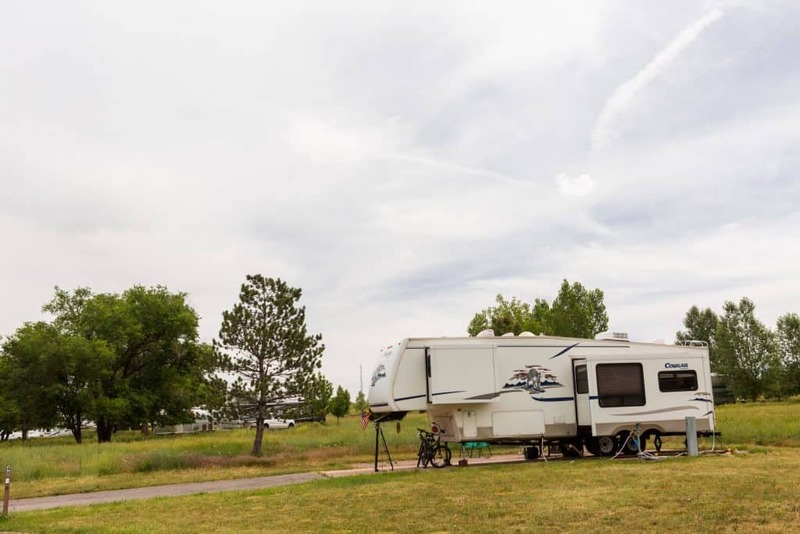 What is the best RV King Pin Stabilizer?With the variety of King Pin Stabilizers, the best ones to stabilize your RV or camper are Heavy Duty or Fast Jack. Can You Pull a Fifth Wheel with a Van or an SUV?